Over the past few years, food manufacturers and grocery retailers have helped make once-obscure sugars and sugar substitutes like muscovado, turbinado, golden syrup, and agave nectar more readily available to U.S. consumers than ever before. Now Sweet! introduces home cooks and bakers to dozens of traditional and cutting-edge sugars and sweeteners that also include jaggery, panela, molasses, cane syrup, and many others. 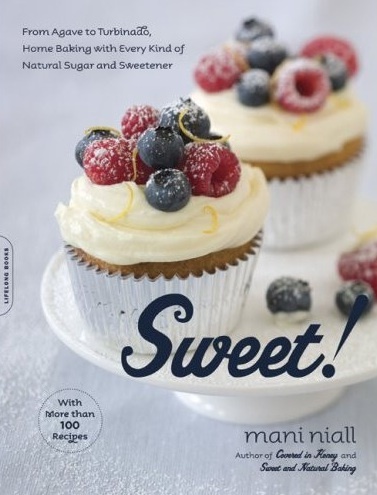 Drawing upon his years of personal and professional experience cooking and baking with these sweeteners, Mani Niall shows home cooks how to take full advantage of the various tastes and textures they provide with more than 100 recipes for cookies and bars, cupcakes and cakes, quickbreads, custards, pies and tarts, candy, and many other treats that showcase each sweetener’s most distinctive qualities.